Died: October 14, 1974 in Bourne Ma. at 82 yrs, 7 mos. 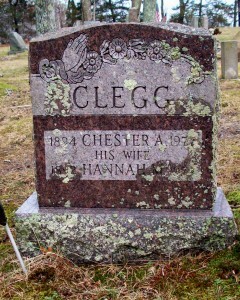 Married: April 25, 1925 in Bourne Ma. 1. 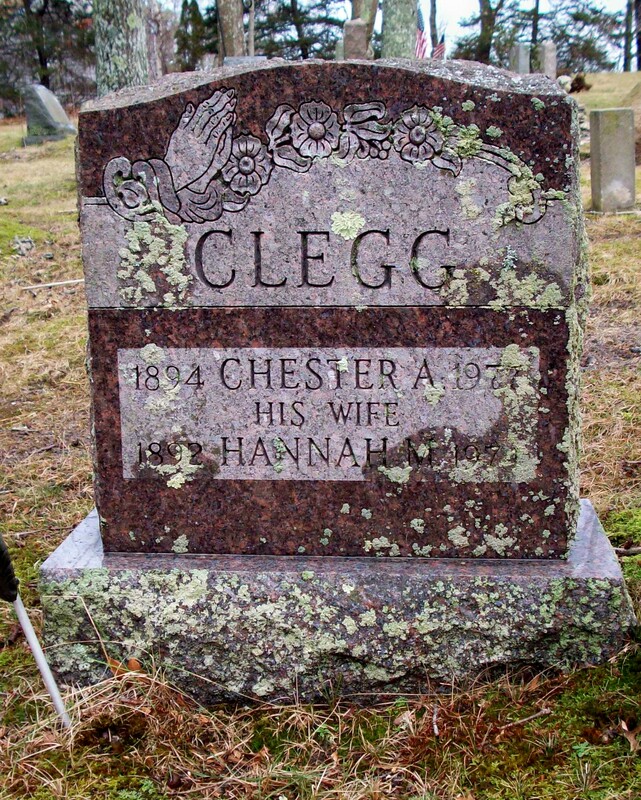 David Arthur Clegg, Korea; (July 24, 1929 – February 9, 2004); Married Elizabeth McLaren Neil (1934 – 2009) (James M. Neil & Sarah J. Steele) in Bourne Ma. on June 27, 1959; David & Elizabeth are buried in Cataumet Cemetery.